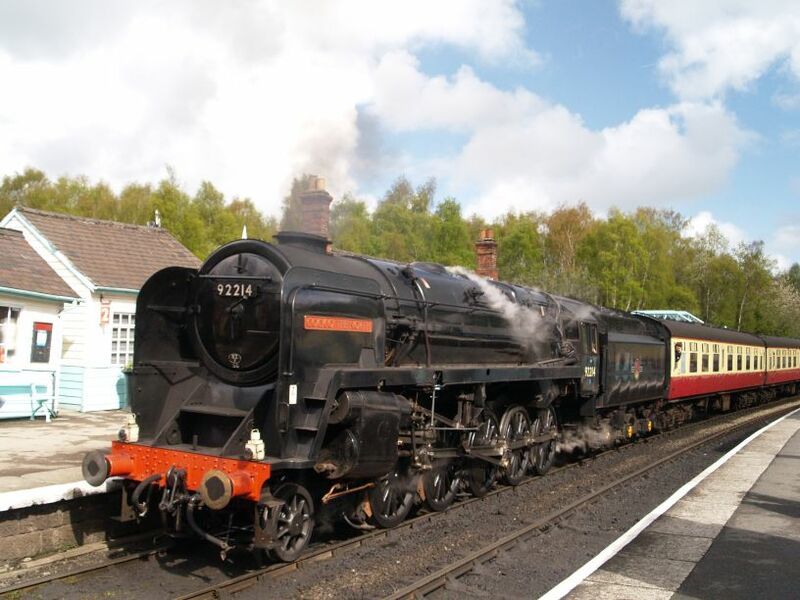 Loco 92134 was built at Crewe Locomotive Works in 1957 with a single chimney to a heavy freight traffic design by R. A. Riddles team based at Brighton Works. Technical detail specifications of locomotive 92134: Boiler pressure of 92134:250 lbf/sq.in. superheated, Weight of 92134: loco 86.7 tons, tender 52.5 tons, Wheel diameter of 92134: 3' 0'', 6' 0", Valve gear of 92134: Walschaerts piston valves, Cylinders (diameter x stroke) of 92134: 20" x 28" (O), Tractive effort of 92134: 39670 lbf., BR Power classification of 92134: Class 9F, Route availability RA ? 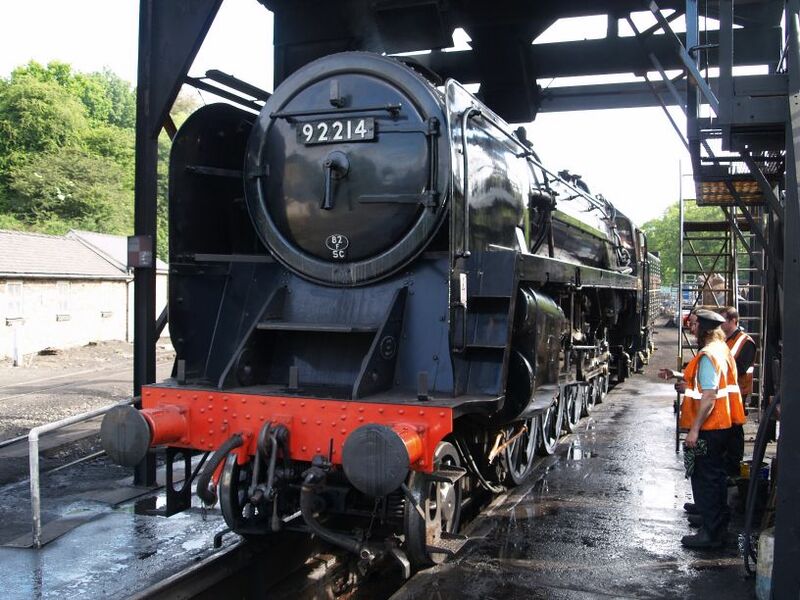 Steam locomotive 92134 looks something like this after full restoration! Enter specific words e.g. locomotive, train, station, place, heritage railway, anything of railway interest!